It’s Time – FROM DENNIS KIRK! It’s time, once again, for the largest custom bike show in the Midwest. 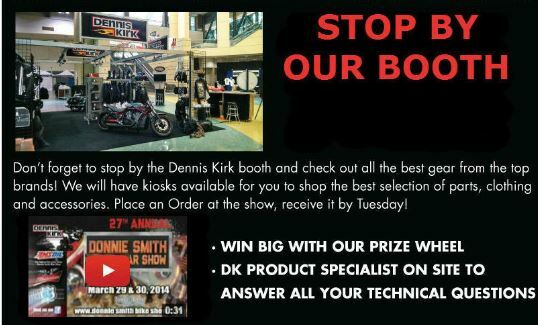 The Dennis Kirk Donnie Smith Bike and Car Show is back to kick off the motorcycle season here in the Midwest. This is the 31st annual show and it just keeps getting bigger and better at the St. Paul RiverCentre. The show times are from 9am-7pm on Saturday and 10am-5pm on Sunday. 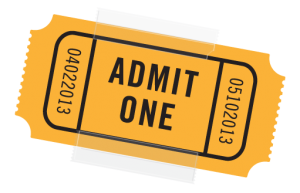 Tickets are only $15 and kids 12 and under get in free! Have questons? We have answers. DK Specialists are on hand to answer your questions. 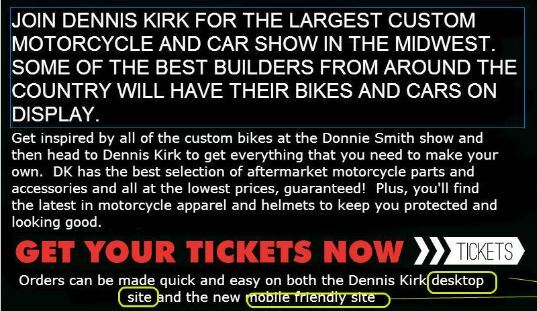 The Dennis Kirk Donnie Smith Show will take up over 200,000 square feet and will be full of custom motorcycle goodness. 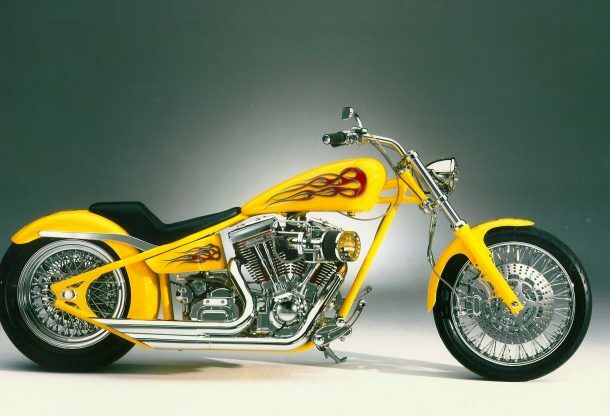 Custom bikes like baggers, choppers, retro bobbers, custom cruisers and more from around the country will be showcased at the Donnie Smith Bike Show. Some of the best bike builders in the country will be there to show off their bikes and answer any and all questions that you might have. It’s all about Honor, Dignity and Respect! It’s not often that a single event can benefit so many. These three Minnesota based organizations support our Military and their families. It’s all about dignity, respect, and remembrance. All proceeds from this event go directly to these outstanding organizations. It’s great … you can join in the fun, and make a difference in the lives of many!